Have you ever wondered what numerology is? I am sure you have! Numerology is the mystical relationship between numbers and events; it is the study & interpretation of numbers. 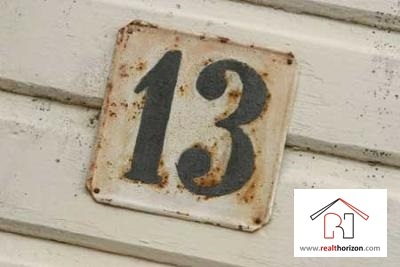 These days Numerology is playing a vital role in Real Estate. Whenever a man plans to purchase his home or make any other investment, he makes all the possible efforts to make his home happy & investment fruitful. While purchasing a property many factors are considered like neighborhood, budget, connectivity and other modern amenities. Now-a-days Numerology is also one of them! House number is an important key if you talk about Numerology. People are always in search of an address having their lucky number. It is so because they put all their positive vibes, mental power and confidence in it, which leads to their psychological satisfaction. But the question is - how to apply numerology in your house number? To know your house number add all the numbers in your address until you arrive at single digit i.e. 1 to 9. For instance if your address is ‘68, Park Avenue’; then your house number will be 6 + 8 = 14 => 1 + 4 = “5”. Every number has its own pros and cons. Different countries have their different perceptions of numbers. A number can be deemed as lucky in one country while the same number can be believed to bring bad luck in another country. In China number ‘4’ is considered as unlucky because in Chinese language it sounds like death. Generally, numbers ‘8’ & ‘13’ are deemed to bring bad luck. Many builders while construction skip floor number ‘13’. Thirteenth floor have rates lower as compared to others. Prices may vary about 10% to 15% as compared to others. Almost 85% of the buildings do not have floor number ‘13’. This superstition is not limited only to floor, but also to apartments, room numbers and in some cases street addresses too. But in Italy, number ‘13’ is held as lucky because it is associated with the “Great Goddess”, who is responsible for fertility and lunar cycles. It is believed that number ‘13’ brings prosperity and life. Number ‘8’, on the other hand is believed to bring evil effects like poverty, accidents and deaths in non-Asian countries as it is believed to be associated with the Saturn. Number ‘8’ is shaped like infinity symbol showing - “What goes around comes around”. In contrast, in Asian countries number ‘8’ has a special significance as it sounds like ‘wealth’ or ‘fortune’. It is associated with good returns over the long term. Statistics show that in Asian countries about 20% of home listings ends with number ‘8’ while in non-Asian nations, this figure is limited to only 4%. Different numbers have different vibrations; some vibrations may suit you while others may not. At the end your address sets the tone of your residential space. Hence, while purchasing your house, it is wiser to make sure that your house number is compatible to you or not. DISCLAIMER: The above facts & thoughts are author’s individual beliefs. This post doesn’t intend to influence any buying decision. It’s wise to take decision based on one’s individual cognizance.